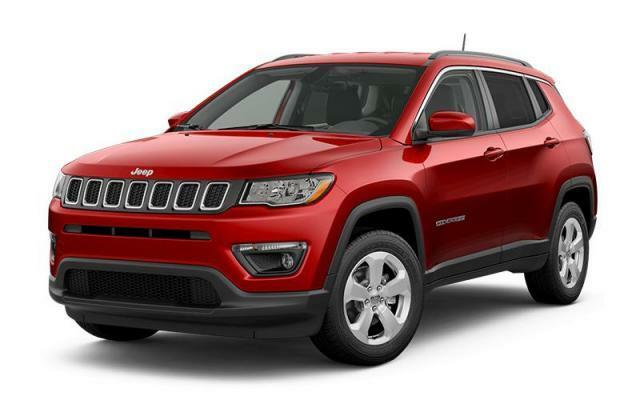 This Jeep Compass boasts a Regular Unleaded I-4 2.4 L/144 engine powering this Automatic transmission. WHEELS: 17" X 7" TECH SILVER ALUMINUM (STD), TWO-TONE PAINT W/GLOSS BLACK ROOF -inc: Gloss Black Roof, TRANSMISSION: 6-SPEED AISIN AUTOMATIC (STD). QUICK ORDER PACKAGE 28J -inc: Engine: 2.4L MultiAir I-4 Zero Evap w/ESS, Transmission: 6-Speed Aisin Automatic , TIRES: 225/60R17 BSW AS (STD), REDLINE PEARL, POPULAR EQUIPMENT GROUP -inc: 7" Customizable In-Cluster Display, Auto-Dimming Rearview Mirror, Remote Start System, Power 8-Way Driver/Manual 6-Way Pass Seat, Power 4-Way Lumbar Adjust, ENGINE: 2.4L MULTIAIR I-4 ZERO EVAP W/ESS (STD), COLD WEATHER GROUP -inc: Front Heated Seats, Carpet/Vinyl Reversible Cargo Mat, Windshield Wiper De-Icer, Remote Start System, Front & Rear All-Weather Floor Mats, Heated Steering Wheel, BLACK/BLACK, PREMIUM CLOTH BUCKET SEATS, BLACK, Wireless Phone Connectivity, Vinyl Door Trim Insert. Come in for a quick visit at Village Chrysler Dodge Jeep Ram Fiat, 201 Bayly Street West, Ajax, ON L1S3K3 to claim your Jeep Compass!